While there is a legend perhaps for virtually every tourist attractions in Langkawi, Mashuri's Tomb (also known as Makam Mahsuri) is one of the very few that does have deep connection with the historical roots of the island and believed to be true by all locals. However out of jealousy from Mahsuri's beauty, the village chief's wife started spreading a rumor that Mahsuri was engaged in adultery with the storyteller. And this rumor unfortunately caught on and started to spread like a fire. 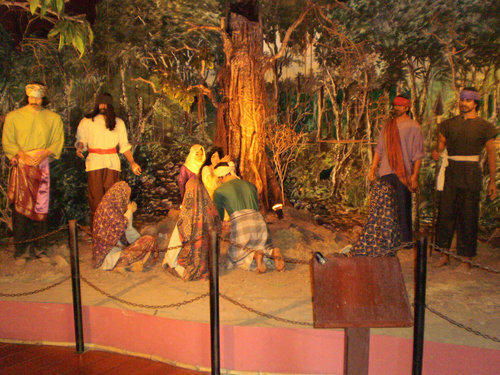 It was decided that Mahsuri would be tried by the elders in the village who too for some reason found her guilty despite Mahsuri repeatedly pleading her innocence. The cruel verdict was to stab her to death. She was tied to an wooden pole. The legend says that after repeated attempts had failed to kill her, she herself offered that she should be stabbed by her father's Kris. And when that was done, it is said that white blood oozed out of her body proving her innocence. She died in the year 1819. During her last breath, Mahsuri laid a curse on the island that it would face misfortune for the next seven generations to come. She said "There shall be no peace and prosperity on this island for a period of seven generations". Strangely, soon after her death the Siamese attacked and conquered Langkawi. The villagers burnt rice fields and poisoned the wells in order to thwart the attacks, but in vain. There is a place in Padang Matsirat known as 'Field of Burnt Rice' where the paddy fields were burnt and you can still see some samples of burnt rice. Langkawi remained as a barren land for a long time thereafter. However the good news is the period of curse has now passed since the late 20th century. This is when Langkawi again started to prosper and this time as a famous tourist destination in the world. There was initially no shrine or a gravestone for Mahsuri. However in order to commemorate her death and such an incident of historical significance, District Officer Abdul Rahman took the initiative and built a modest tomb in the premises with slabs of white marbles. Mr. Rahman later became the first Prime Minister of Malaysia in 1957 after the country's independence. Mahsuri's Tomb area has been developed as a historical and cultural complex. At the entrance there is a small lobby and ticket counters. From here, there is an indoor passageway where an old bullock cart is kept on display. 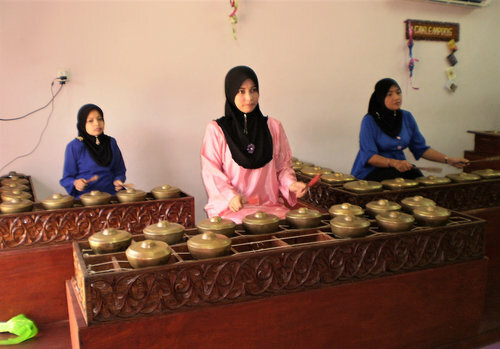 The passage leads to the musical room where depending on your timing, you will find Malay ladies in traditional costumes playing folk music on old traditional instruments known as caklempong and producing a mesmerizing sound. 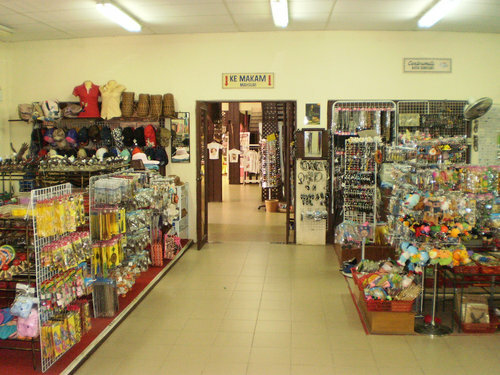 The next section is a large room with many different items on sale including clothes, T-shirts, bags, souvenirs & gifts etc. There is an audio visual room where a video presentation takes place and the story of Mahsuri is narrated. The story is also written on boards that you can read. There are some sections in the complex including the audio visual room where photography is prohibited. There is also a cafe and food stalls here selling snack items, cold drinks, tea and coffee. As you take a roofed outdoor passage, it leads to the tomb of Mahsuri which is placed in a fenced lawn and made of white marble slabs. There is a stone slab in front of the tomb that shows her year of death and states the curse laid by her on the island. Outside the tomb garden, there are shady trees and benches laid out where you can sit for a while and relax. The Photo Express stall here can take and print your picture within five minutes with whichever background you choose. Close by there is an Audio Museum known as 'Paggung Mek Mullong'. 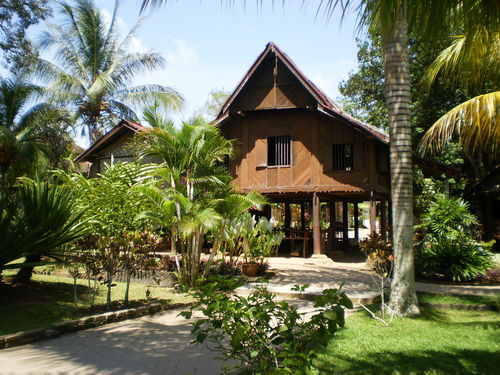 Steps ahead is a typical and traditional Malay house built with wood and stands on stilts. This has been constructed to show to the tourists how the natives used to live during those days of 18th and 19th century. You can in fact climb the stairs and get inside the house and explore some of the typical household belongings of a Malay family of such time. 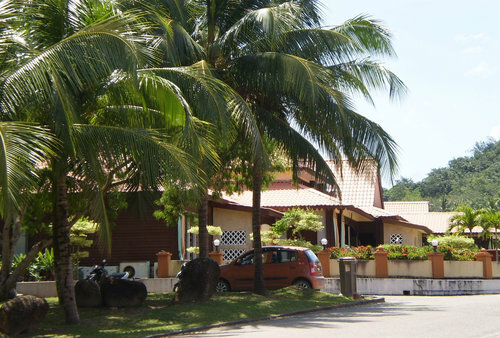 From a place adjacent to the Malay House, you can see the adjoining area of the complex. There is a vast field with mountain in the background creating a wonderful setting. You get to view the scenic setting in which the entire complex is set up. Further ahead on the other side is 'Legenda Mahsuri' - this is the Museum where large dioramas have been created by artists to depict the story of Mahsuri. 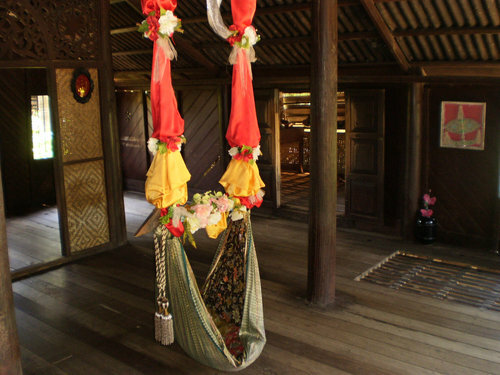 This museum also houses many different Malay household and farming items of the era. There is a section which displays the weapons used to kill Mahsuri. Cultural performances are held in the complex on Fridays and Saturdays. Children (age 3-12): RM5 for children of foreign tourists. Malaysians pay discounted entry fee. It is about 17kms from the International Airport at Padang Matsirat and takes about 20 minutes by car from the airport. 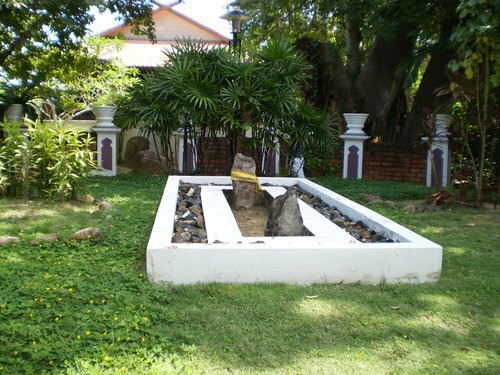 The road on which Mahsuri's Tomb is located (Jalan Makam Mahsuri) can be accessed from the main road Jalan Padang Matsirat.